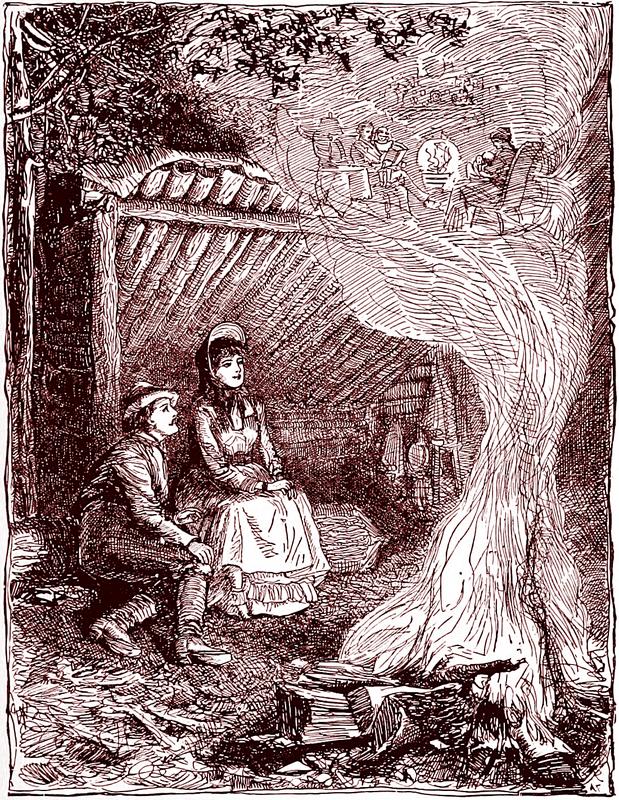 "I sprang among the embers and hurled a glowing branch straight into the creature's eyes." 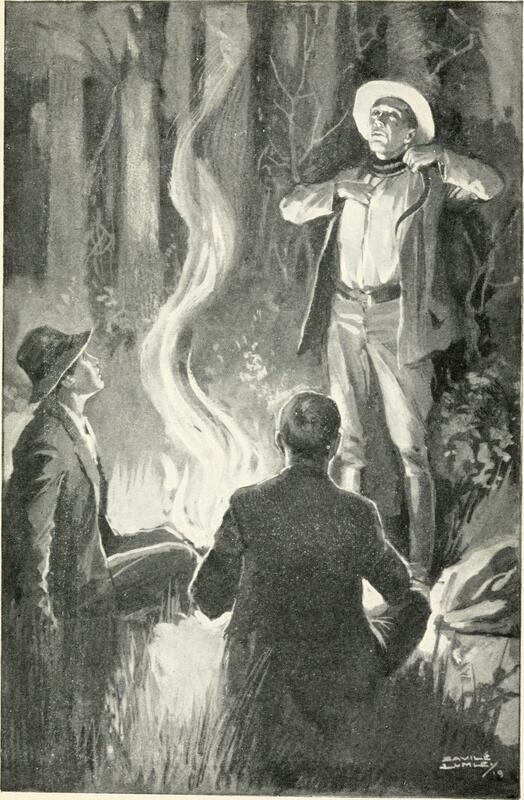 From English Illustrated, 1896. 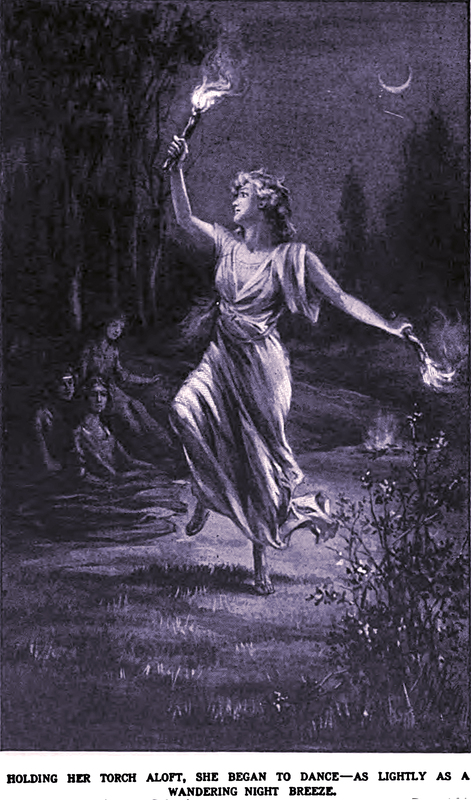 "Holding her torch aloft, she began to dance—as lightly as a wandering night breeze." 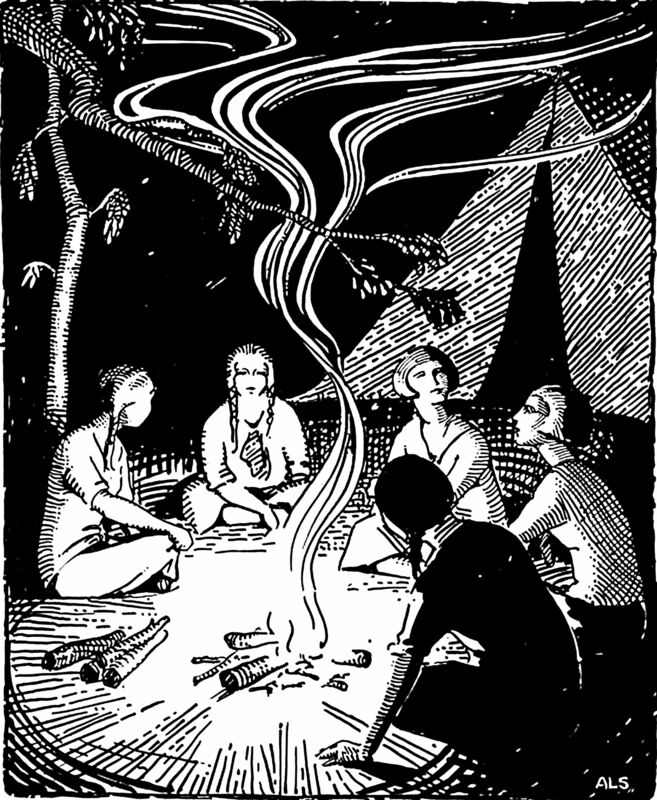 From The Camp Fire Girls at School by Hildegarde Gertrude Frey, 1916. "Beardy Ned's fire." 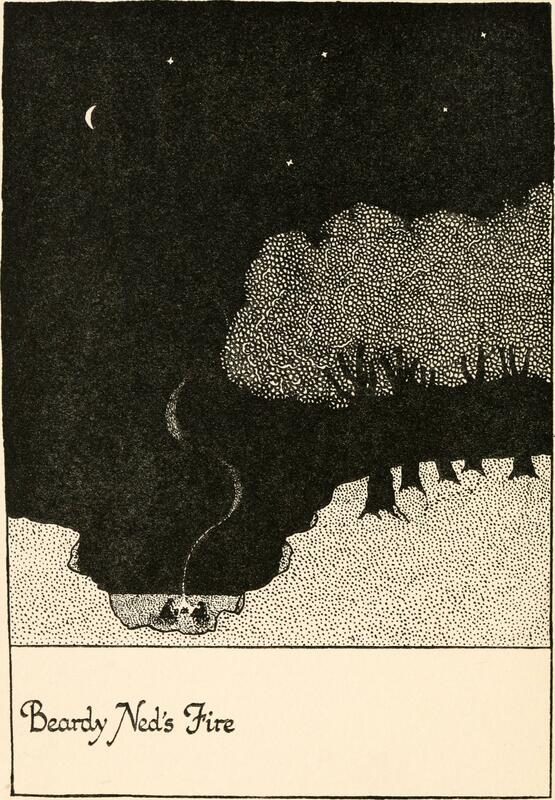 From Half-Past Bedtime by H. H. Bashford, 1922. "The axis of my world tonight radiates the calm I've found; within the confines of its light I find myself on hallowed ground!" from Desert Magazine. 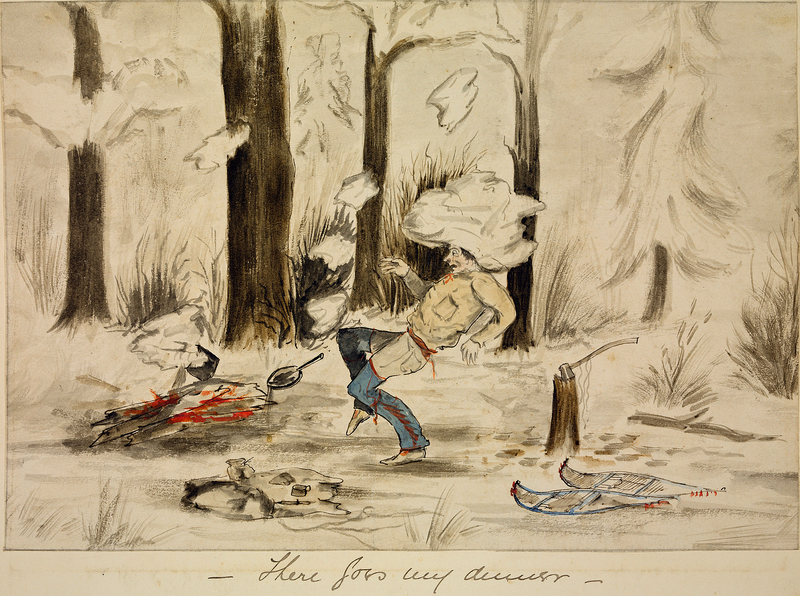 "There goes my dinner," from Sketches of Hudson Bay Life by H. Bullock Webster, c. 1875. 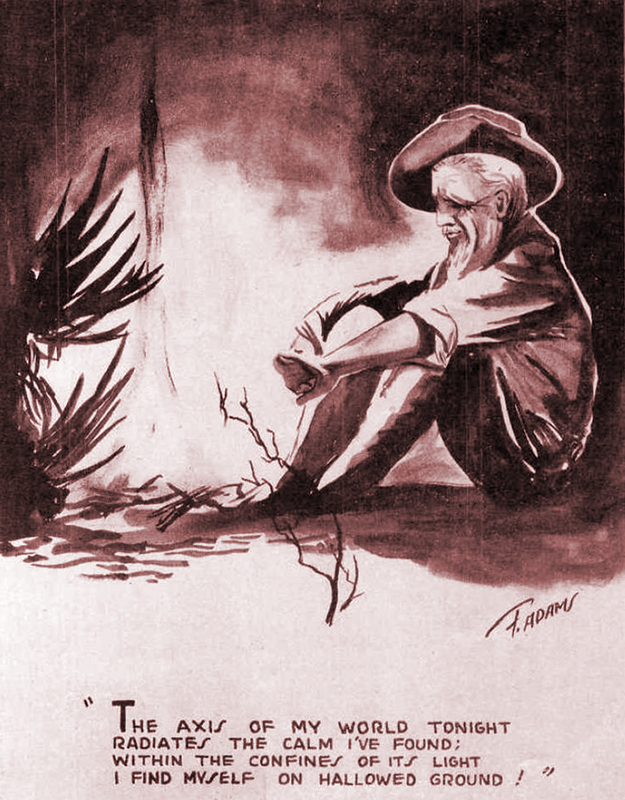 From Camp-Fire Musings by William Cunningham Gray, 1894. 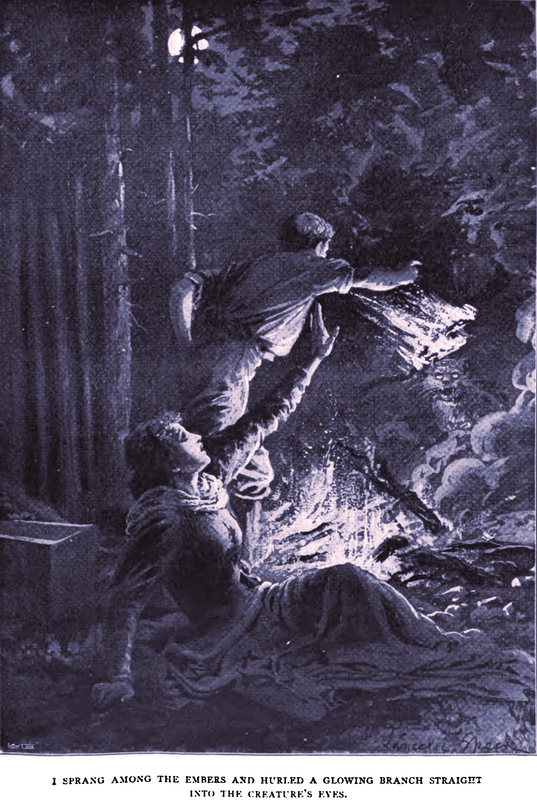 Campfires and hearth fires are connected through what physicists now call "quantum entanglement," as we see in The Hudson by Wallace Bruce and illustrated by Alfred Fredericks, 1894. 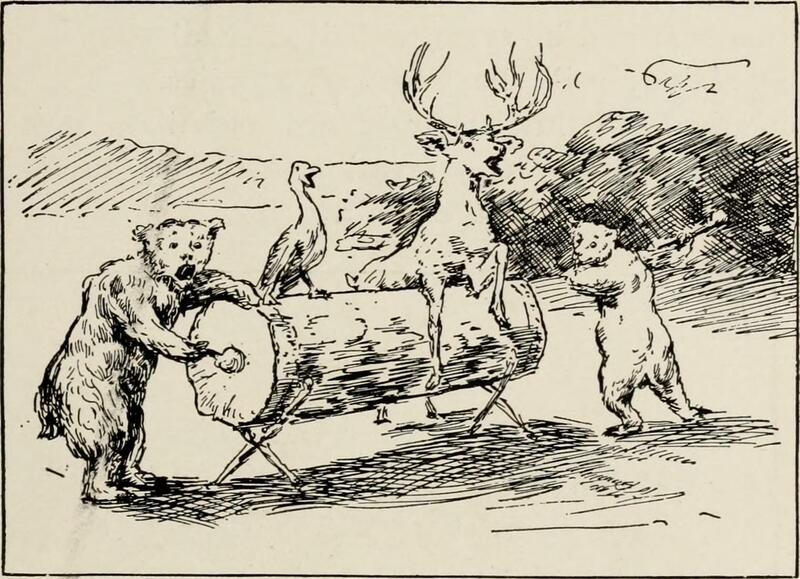 An illustration from Echoes from the Rocky Mountains by John Clampitt (1889). 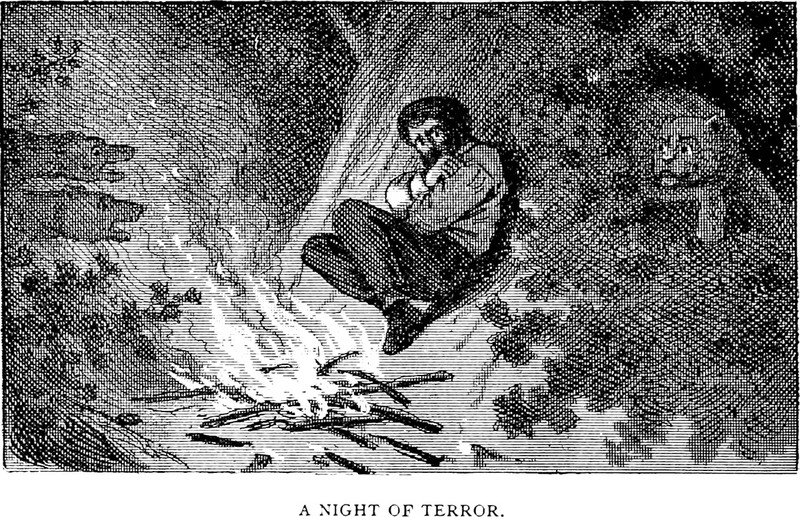 The caption reads: "A night of terror."